Jennifer Grandis, MD Finds Common Pain Medication Greatly Improves Survival Rate of Head and Neck Cancer Patients. 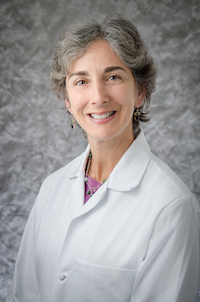 A new study published in the Journal of Experimental Medicine, written by Jennifer Grandis, MD from UCSF's OHNS department finds that non-steroidal anti-inflammatory drugs (NSAIDs), such as Aspirin and Ibuprofen greatly improves the survival rate of Head and Neck Cancer patients. Dr. Grandis' and her team at UCSF found that head and neck cancer patients with mutations in the PIK3CA gene could benefit from regular use of NSAIDs to improve their survival rate. From the study, regular use of NSAIDs for six months increased their survival from 25 percent to 78 percent from these patients.